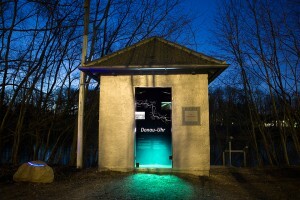 Lichtnächte 2011 – Mergeformat Festival for light, media, audio and video art in Eichstätt, 28.-30. July 2011. Find out more about our guest artists and the festival program. See radient.de for further photos and impressions. Thanks to all the people who made this fascinating weekend come to life! Video: Audiovisual performance by HAMMERHAUS. Simulations stimulate competitive advantages! 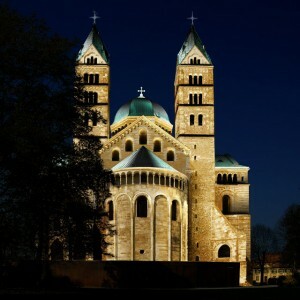 Simulating the planned new lighting design of Speyer Cathedral, Ingenieure Bamberger won the 1st place in the competition for the outdoor illumination. noumentalia.de realized different lighting simulations for the architectural lighting according to the ideas of Walter Bamberger. 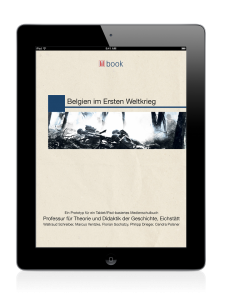 In cooperation with the chair of theory and didactics of history, KU Eichstätt-Ingolstadt, noumentalia.de developed a tablet-based prototype of a multimedia schoolbook. 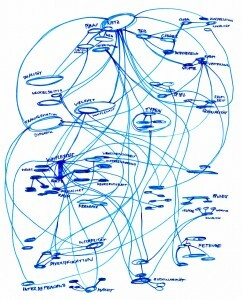 This project will evaluate the use of new media and technology in school. By the use of video, audio, hyperlinks and various informational enrichments, new learning features and didactical designs are possible. To provide interoperability with other tablet devices, the contents are stored in standard HTML5 format. 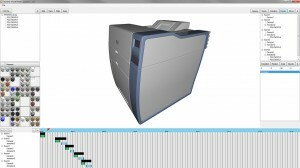 The prototype was created as a native iPad app that takes advantage of its device-specific features. 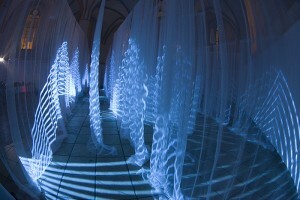 Radient Audiovisual Arts created another immersive audiovisual installation turning space into time and vice versa. Under the title “Noise is the real information” we created a multiprojector setup with different visual and audio livesets. Projecting on translucent curtains, the visitor was completely immersed into a fluid visual motion experience. The soundscape was generated on the fly to enhance that experience even more. noumentalia.de provided an advanced multichannel visualization solution and the conceptual work between the poles of noise and information. The exhibiton “Donau-Uhr” was presented in the “Messpegelhäuschen” in Ingolstadt. In cooperation with Dr. Peter Loreth (Department of Geography, KU Eichstätt-Ingolstadt) and Michael Bamberger (IB Bamberger, Pfünz) we created a multimedia object that presents geographic aspects of the Danube. By simulating the apex of the sun’s motion, the viewer goes on a multimedial journey along the Danube with the ticking its clock. noumentalia.de realized the audiovisual installation for that journey. 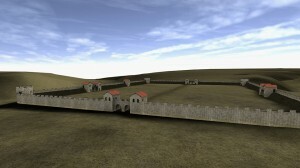 In collaboration with 3D designer Falk Lochmann noumentalia.de created “Castellum Virtualis“, an realtime application for viewing a historical reconstruction of the “Castra Vetonianae” in Pfünz. The 3D engine “NouEngine” was developed by noumentalia.de to provide high performance graphics. To achieve realistic rendering results, different shaders, lightmapping and postprocessing techniques are in use. 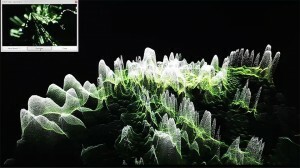 The terrain is created from original DGM data. Due to it’s work in progress character, this project has not been finished yet.